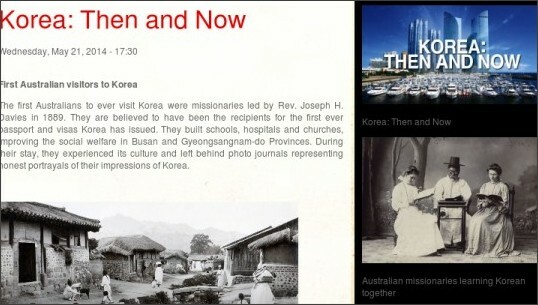 First Australian visitors to Korea: "The first Australians to ever visit Korea were missionaries led by Rev. Joseph H. Davies in 1889. They are believed to have been the recipients for the first ever passport and visas Korea has issued. They built schools, hospitals and churches, improving the social welfare in Busan and Gyeongsangnam-do Provinces. During their stay, they experienced its culture and left behind photo journals representing honest portrayals of their impressions of Korea....."
For more details, follow the link below. What is it? The Korean Language Contest is an annual Korean language performance competition for schools in Australia, sponsored by the Korean Education Centre, the Korea Foundation and the Korean Consulate, Sydney. 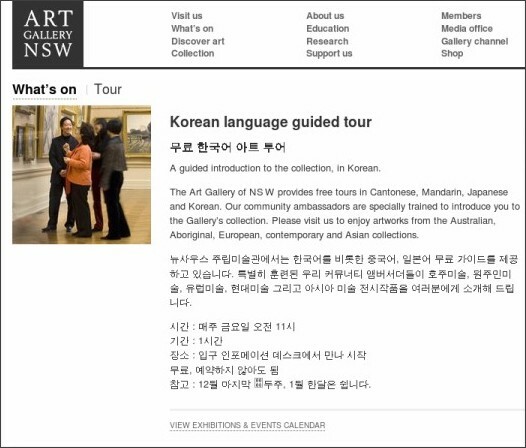 Kindergarten to Year 12, who learn Korean as a second language or a foreign language. The student’s or their parents’ first language should not be Korean. Each Stage group is given a different topic and format for submitting entries. Entries are coordinated by the Korean teacher. Are there prizes? Gift vouchers and other special prizes will be awarded to each winning team or winner in each category by the Korea Foundation and the Korean Education Centre of the Korean Consulate, Sydney. Certificates will be awarded for the first, second and third places for each category. All participants will receive a Certificate of Participation. Special Mention Prizes will be awarded to two winning schools. Each participating school will receive a certificate of recognition from the Korean Consulate. How is it judged? The entries will be judged by a panel consisting of representatives from the Korean education Centre and the Korean Consulate, Sydney. The finalists will be invited to perform or show their work live at the showcase in Wednesday, 16 October 2013 (place, TBA). What are the rules? An entry form for each student (or team) MUST be attached to each entry. Entries will be returned to schools after judging. A Permission to use students’ work form must also be submitted for each student. All work must be the student’s original material (including images, audio, video and text). If students are using software such as Microsoft PowerPoint to create their entries, the teacher must ensure that copyright has been discussed with the student and acknowledged appropriately in the work.